To wish you were someone else is to waste the person you are. People who are not self-confident tend to depend excessively on the approval of others in order to feel good about themselves. As a result, they tend to avoid taking risks because they fear failure. They generally do not expect to be successful. They often put themselves down and tend to discount or ignore compliments paid to them. Don’t be sorry for who or what you are. Gideon’s negative view of himself started with his family. Sometimes the remorse we have about ourselves started generations before us. Judges 6:11 states, “Gideon son of Joash was threshing wheat at the bottom of a winepress to hide the grain from the Midianites” (NLT). Gideon was in a winepress, a closed, tight, and small place threshing wheat, when he should have been in an open, wide, and large place doing this task. He was hiding from the enemy. The angel of the Lord spoke to him in his closed, tight, and small place and said unto him, “The Lord is with you, you Mighty Man of Valor” (Judges 6:12). Today, the Lord is saying, “Come Out, Come Out, Wherever You Are!” Come out of the small place, come out of the tight place, and come out of hiding from the enemy. The Lord will cover and protect you. A positive future can come out of a negative past. Like Gideon, your initial response to the Lord may be to address first the situation that you are in before acknowledging what He just said to you. Just as Gideon asked, “Why has all this happened?” Even more so, “Why has all this happened to me?” God addressed the question, but used the word “mighty” again in order to stir up the spirit of God on the inside of Gideon! The answer to Gideon’s questions was Gideon. The answer to your questions is you! You are the one and the answer that God is going to use to change things in your life, your family, your church, and your community. God told Gideon that he was the answer, but he just needed to be mighty. After this, Gideon didn’t question God anymore, but rather himself. He felt a sense of sorrow about who he was. He told the Lord that his family was the weakest among all the others. His family’s generational curses had shaped his world and his view of himself. Because they were weak, Gideon felt that he was the least of his family, the weakest link. “So he said to Him, “O my Lord, how can I save Israel? Indeed my clan is the weakest in Manasseh, and I am the least in my father’s house” (Judges 6:15). Notice, God never asked Gideon how he felt or what he thought about himself. Gideon offered this up as an excuse. Brother/Sister, let the excuses go today! What God thinks of you is different from what you think of yourself. You are offering God information that He already knows and is not concerned about at this time. God is trying to take you from shortcomings to the next dimension. God told Gideon that he was not only mighty, but that he would also strike and defeat the Midianites as one man. As it relates to your situation, God is going to do this with you and you alone. You are coming out of the winepress into an open field. No more hiding and no more excuses; you will strike the enemy as one Total Man/Woman. You will finish the degree, build the business, do ministry, fulfill your calling, write the book, and so much more. Finally, Gideon asked for a sign of favor and change. Mighty Man/Woman of Valor, I declare a sign to you! There has been a shifting in your life and calling. No longer will you see yourself as who and what you see right now in the mirror, but with spiritual eyes, you will rise and soar above anything in the natural. You will make it! God is equipping you to become the Total Man/Woman. Just as God told Gideon, I tell you today, “Come out of the Closed, Tight, Small, and Obscure places, Mighty Man/Woman of Valor! Know the Lord is with you.” End the generational curses today. Be the one in your family who will make it, no matter where you are now and no matter what you have done. Remember you can only be made to feel sorry at the hands and mercy of someone else when you relinquish that right and power to them. Don’t be like Gideon and allow your family’s history to define you. Gideon thought just because his father was entangled in idol worship, that he was destined to be bound in the area of his worship as well. God will always reveal Himself in a way that causes you to worship and give Him glory. God will always call you what you are supposed to be, which is far beyond what you see right now. Gideon projected onto God the mistakes of his father, but God projected onto Gideon his true identity and his destiny. It is better to trust in the Lord Than to put confidence in princes, government, nobles, leaders, and influential people. Putting confidence in an unreliable person in times of trouble is like chewing with a broken tooth or walking on a lame foot. When it is time to complete the mission and Live Life from the Inside Out, the vehicle (carrier) you are riding in is just as important as who is with you. Not in the sense of the style of the vehicle, but rather the spirit by which you are traveling. Know your season and your time to launch, but make sure you are in the right carrier. When fulfilling destiny and becoming the Total Man/Woman, Living Life from the Inside Out, you must be with the right people and in the right transportation. When something is transported, it is carried or moved to a specific destination. There are various ways in which we can travel to our destiny, and there are certain people that can’t go on the journey. Not because you are better than they are, but because they are not willing to make the sacrifice needed for the destination. Not everybody can go. You have to let some things and some people go in order for you to be able to achieve destiny! The first type of transportation is the Bus. We all start off on the bus. It is a big vehicle, which can carry many passengers at a cheap price; it is public transportation, which is open and available to all. The bus is equipped to stop at various places just by a passenger pulling down on a chain and ringing a bell in order to get off. The bus also has predestined stops that it has to make. The bus is not able to move at a great speed and the frequent stops make the ride long and tiring. Not only that, but the bus does not always end with the same people that it started with. The dedication of bus relationships is short-lived. You will not Live Your Life from the Inside Out by staying and remaining on the bus. Bus relationships are unhealthy and they are consuming. There is no true root to the relationship because people are expected to get off at their own stop. There are also too many opportunities for people to walk in and out of your life because of the stops. The bus sometimes is filled only with tourists, who are mere spectators in your life. You need participators! You need consistency at this point in your life. The second type of transportation is the Train. Many of us are willing to settle for the train ride because it is faster than the bus and makes fewer stops. The train people in your life stay longer and it seems that the relationship is growing and that you are in one accord. The distinguishing thing about a train is that it is self-propelled, and it is a connected group of rolling stock. When something is self-propelled, it is motivated from the inside. It drives, or causes you to move forward or onward. Many of us would settle for the train because we are with motivators and it seems like we are going somewhere. However, people are still allowed to carry their baggage on the train. There is also a station coming up soon, and the train people will not be willing to get a transfer to stay with you and keep going to the next level in order to accomplish destiny. These relationships are healthy for a season and do cultivate a specific level or degree of your life, but they are not destined to go all the way with you. The third type of transportation (people) is the Airplane. You actually go to new heights and levels, and you are elevated to another place. Even the cost and the sacrifice to board the plane is greater. The airplane has wings, so you are able to fly. You literally get off the ground and you are thrust into another level. The airplane goes faster and there are no stops. 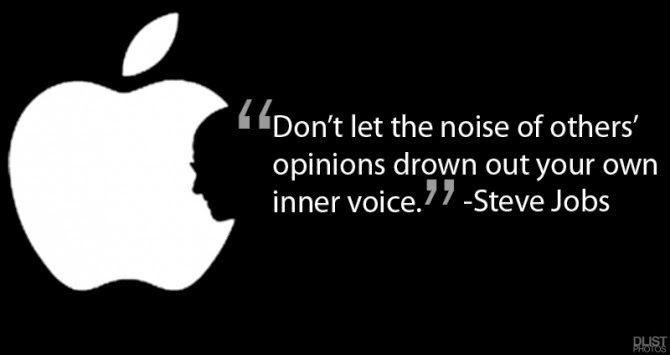 Many of us would say, “This is it, I am finally Living Life from the Inside Out. I am on the airplane and I am with the right people.” However, the problem with the airplane is that you are still allowed to bring baggage on and there is a layover. The airplane people are willing to go higher, further, faster, and longer with you, but once there is a delay in the continuing flight, they leave you during the layover. Airplane people still have the opportunity to forfeit and leave you alone. These relationships are healthier and more cultivated, but there are still rules and boundaries that do not permit them to go all the way with you to the final destination. The fourth type of transportation is the Rocket! This is the only transportation that moves straight up. It is faster and there are no stops until you have landed at the targeted destination. There is no baggage allowed. The greatest sacrifice and cost of the rocket is at the beginning. It uses ninety percent of its fuel just to get off the ground. The rocket is not for the weak or the passive, but for the determined! It is also built and equipped for war. It is loaded with warheads and missiles. The rocket is able to withstand the attacks of the enemy. It is indestructible. The rocket is the transportation that you need to ride in going forward to your destiny. You also need rocket-minded people with you, those who are willing to say, “No turning back.” Meaningful relationships are the key in this season, because you cannot do it by yourself, but you also cannot do it with the wrong people around you. God-Confidence & Self-Confidence will give you strength & rest! It’s a cure for being tired, weary, worrying, and having anxiety! (Philippians 1:6, 1 Thessalonians 5:24). [ Confidence and Compassion in Prayer ] Now this is the confidence that we have in Him, that if we ask anything according to His will, He hears us. 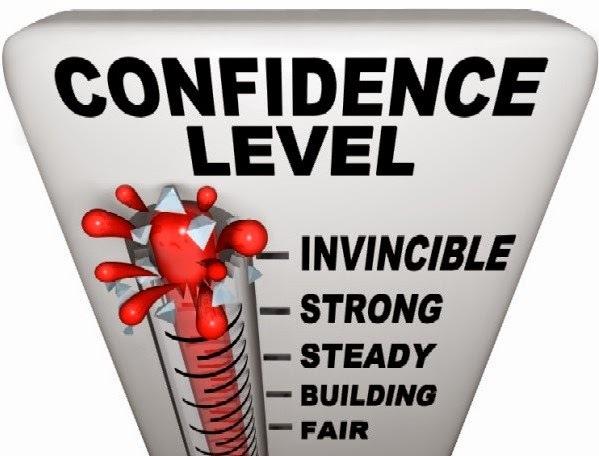 WHAT IS YOUR CONFIDENCE LEVEL? First things first, look at the scale above and rate where you are as it relates to your confidence in God or rather your “God-confidence.” Where do you fall on this scale as it relates to your belief, trust, and reliance on God in the area of confidence? Now, look at the scale again and rate where you are as it relates to Self-confidence. Where do you fall on this scale as it relates to your belief in, trust, and reliance on yourself in the area of confidence? What I find to be most shocking is that many people rate their God-confidence right up there with Strong & Invincible, but rate their self-confidence as below fair or it the area of building. I want to tell you something that maybe no one has ever told you, your God-confidence and Self- confidence should be parallel. You can’t have Invincible God-confidence and only fair self-confidence. You were created in the image and likeness of God, you are God’s chosen son/daughter, you are a royal priesthood, his own special people…What God has you have, you are an heir and you have a kingdom inheritance! What you believe about God is what you believe about yourself. Therefore, you can’t think God is invincible and that you are only fair. It is not possible. During this series, you will learn how to have not only God-confidence, but also Self-confidence! We must establish first what the Bible has to say about why confidence is so important and vital to our life, our faith, our promises, and our purpose. Let us hold fast the confession of our confidence/hope without wavering, for He who promised is faithful. So do not throw away this confident trust in the Lord. 35 Remember the great reward it brings you! 36 Patient endurance is what you need now, so that you will continue to do God’s will. Then you will receive all that he has promised. In this scripture, we see how vital it is to have the confession of confidence. 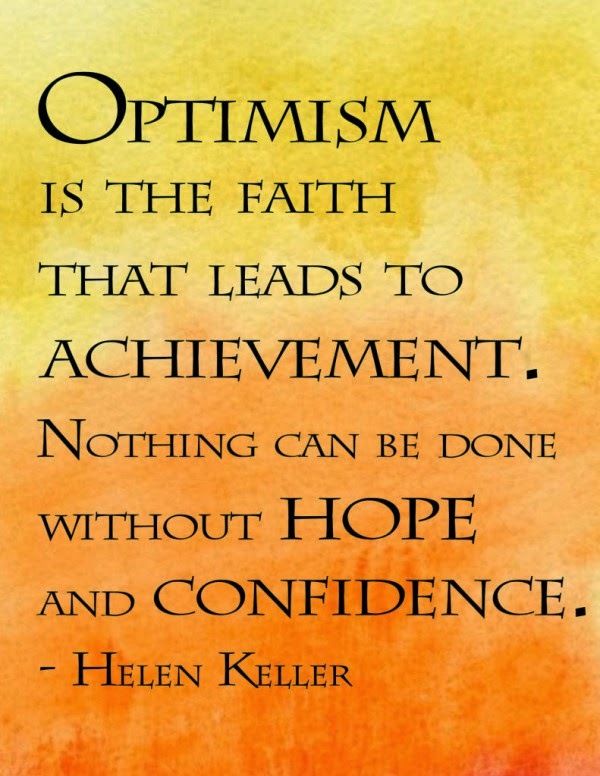 You can’t be confident without having life-giving words of hope, encouragement, and belief. 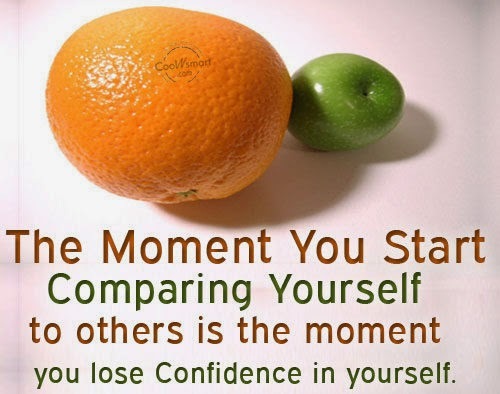 Your self-confidence has to be without doubt & hesitation. Confidence is about not giving up & turning back. Confidence is all about forward moving! Confidence is not lived out in your past, but in your progressing through your present into your future. There is a reward attached to being confident. If you will endure what you are going through in confidence then you will fulfill God’s will for your life. The missing piece of the puzzle that you have been searching for is confidence. There is a direct link from receiving the promises of God to where you place your confidence in God and what you believe about yourself. You have been trying to achieve various things in your life without God-confidence and self-confidence and that is why it seems that nothing has been working out. What is God-confidence and self-confidence? Confidence is the Full trust, and the belief in the power, trustworthiness, and reliability of oneself and God. It is the belief in oneself and one's powers or abilities. God/self-confidence is the reliance, assurance, and certainty in self and God even when there is uncertainty about situations. Do you honestly have full trust in God and in yourself? Do you have full belief in the power, trustworthiness, and reliability of God and yourself? Do you believe in your own abilities that God has given you? Do you have reliance, assurance, and certainty in God and yourself even when life’s situations are uncertain? Confidence is Being Certain even in uncertainty! Too often, we only have a meager measure of trust, certainty, reliance, assistance, and belief in ourselves and in God. However, if you are going to be confident then you must have full belief, trust, and certainty in God and in yourself. Confidence Assignment: First, memorize the scripture Hebrews 10:23, 35-36 and recite it daily to yourself. Write the scripture out and really dissect it, and see what the Lord reveals to you concerning your life. Use this scripture as a daily prayer guide. (2) Memorize and apply the confidence definition and figure out what areas you are struggling with as it relates to having God-confidence and self-confidence. Is it that you don’t trust God or yourself, or do you not believe in God and in yourself, or have you lost hope in yourself and in God? Whatever it is really focus and find out why you can’t live up to the complete definition of God-confidence and self-confidence.